Not got a lot of time but want to learn something new? Then In this article, we have six great 2 minute tips from iZotope from the reverse reverb trick, achieving a great kick drum sound, adding clarity to vocals, how not to overdo the vocal reverb, finding the key frequencies before using EQ and warming up your vocals. At 2 minutes each these are just the ticket for a busy engineer. 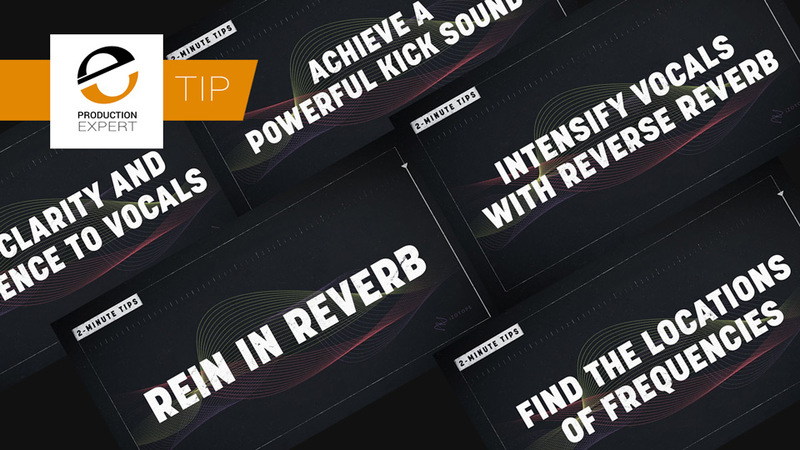 Watch this free video tutorial and learn how using reverse reverb build-ups can add drama to your music productions. Watch this free video tutorial and learn how to set up dynamic nodes with iZotope's Neutron 2's EQ to make your kick explode through a crowded mix. Watch this free video tutorial and learn how to duplicate your lead vocal track and then use Neutron 2's Track Assistant with settings of Upfront + High to give your vocal clarity and power. Watch this free video tutorial and learn how dialing in the right amount of post-EQ within Nectar 2's plate reverb will ensure your vocal gets some air but stays grounded to avoid intelligibility loss. Watch this free video tutorial and learn how to unlock the power of EQs across many iZotope plug-ins with the alt+solo feature, a must for surgical subtractive EQ work. Watch this free video tutorial and learn how to use the power of Ozone's Vintage modules to bring analogue warmth and fuzziness to keyboards and pianos.